Mobile carrier EE has announced that the Apple Watch Series 3 is now available to pre-order on their network. The new Apple Watch comes with LTE and EE are offering the device on monthly contracts, prices start at £25 a month for the 38mm model and £29.99 a month for the 42mm model. 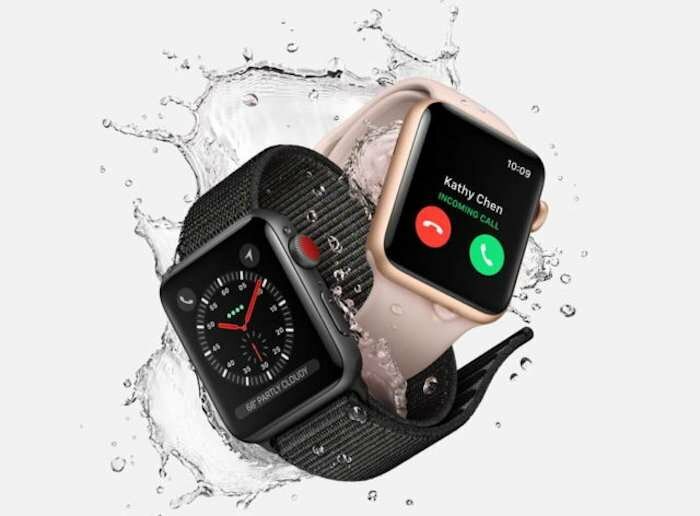 The Apple Watch Series 3 Cellular standard 38mm version is available free on a £25 per month Smart Watch plan, including unlimited data. The standard 42mm version has a one off upfront cost of £29.99, the 38mm steel version has a one off upfront cost of £129.99 and the 42mm steel version has a one off upfront cost of £159.99 – all are available on the £25 per month Smart Watch plan. You can find out more details about the Apple Watch Series 3 over at EE at the link below. The device is also available to pre-order with Apple. EE have also started to take pre-orders on the new iPhone 8 and 8 Plus smartphones.